These olives may be small but they pack quite a punch. Intense in flavor, these Peranzana olives have a thin black skin small and medium firm texture. After harvest, they are cleaned, pitted and preserved in jars with a light brine to fully capture their natural bitter flavor. Because they are pitted, they are perfect used as an ingredients on any salads, fish, chicken, Puttanesca sauce, and many other dishes, but also chopped in a blender to make your own black olive pate'. Buy 2 for $15.15 each and save 6% . Buy 3 for $13.55 each and save 16% . Buy 6 for $12.75 each and save 21% . To think of Oilalà , one envisions “the sea, the wind, and the scent of the land, nothing artificial, no chemicals, only respect for the territory where we live". Tradition, attention to detail and the use of the most modern production techniques are fundamental to this company. Entering into the Oilalà world means appreciating products that are esthetically pleasing with spectacular flavor and that are made with respect to the environment. Located in Barletta, in the region of Puglia on the Adriatic coast, the company is owned by the Borraccino family for three generations and has produced olive oil for over 50 years. Spiros and Giovanni, two young brothers, after graduating from college and with a few years of experience in the industry, took control of the family business and have given it a modern twist, by acquiring state-of-the-art technologies, becoming organic certified and building a distinguished brand. The farm is surrounded by plants, tomatoes, artichokes, peaches, figs, apricots and grapes, which all give their fragrance to the terroir and the surrounding trees. Here, thanks to a production process characterized by coupling high standards with a limited production run, the extra virgin olive oils produced are of indisputable quality and immediately recognizable. Available only in the best Italian and European restaurants and international gourmet shops, Oilalà can be found in the hands of the most brilliant chefs and is always in demand by consumers. 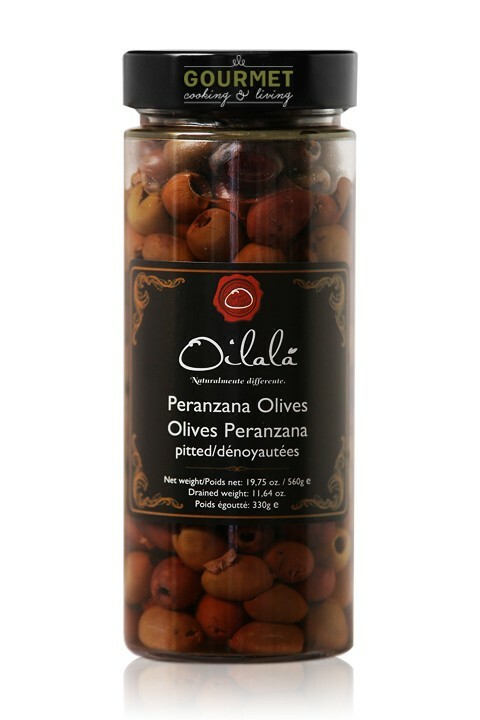 Oilalà cultivars include: Coratina, Leccino, and Peranzana, which are used to make their best extra virgin olive oils. These olives are handpicked, harvested when perfectly ripe, then brought to the olive mill within 12 hours. This ensures a superior extra virgin olive oil that is evident by its smell and taste. Oilalà oils provide a good source of vitamins A, D, E. Thanks to its high concentration of polyphenols, it is the best food to combat free radicals, which are responsible for aging. In addition to olive oil, Oilalà offers outstanding tomato sauce, peeled tomatoes, sun dried tomatoes, grilled artichokes, black and green olives and balsamic vinegar...Character, health and taste, makes Oilalà "Naturalmente Differente".